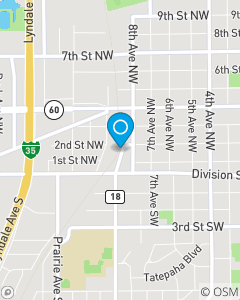 We are located in the historic Milwaukee Road train depot just north of Division St. on 9th Ave NW. Our vision is to be the most respected insurance and financial services practice in our community with a commitment to serve our customers in a way that helps them identify and manage their risks, recover from the unexpected things that can happen in life and achieve their dreams. Helping you develop a sound Plan B so you can achieve your Plan A!